ConSciCom team member Alison Moulds discusses the medical humanities symposium she co-organised earlier this year. On 24 March 2017, a one-day symposium – ‘Doctor, doctor: Global and historical perspectives on the doctor-patient relationship’ – was held at St Anne’s College, University of Oxford. It was organised by myself and Sarah Jones, a DPhil Candidate in French. The event was funded by a Medical Humanities programme grant from The Oxford Research Centre in the Humanities (TORCH), the Constructing Scientific Communities project, and St Anne’s College. The symposium explored practitioner-patient interactions across different cultural contexts and throughout history. From the outset, our aim was to encourage interdisciplinary and international perspectives on medical humanities. We were particularly keen to attract researchers working in languages other than English and on non-Anglophone cultures. Sarah and I were delighted with the response to our call for papers, which far exceeded our expectations. Our final line-up for the event featured more than 30 speakers, working across a range of disciplines (from Classics to Anthropology, Literature to Sociology) and based in a range of countries (from Italy to Russia, Spain to the United States). There were humanities scholars and clinicians, as well as individuals who bridged the divide or worked in other areas, such as on creative projects. Various career stages were represented in the programme – from Masters and PhD candidates to senior academics working in the medical humanities. The event attracted more than 70 attendees also drawn from diverse backgrounds, from general practice to fine art. The symposium opened with a keynote presentation from Dr Anna Elsner, Senior Researcher at the Center for Medical Humanities at the University of Zurich. Elsner’s paper examined the representation of clinical encounters in twentieth-century French literature alongside medical and bioethical research on the physician-patient relationship. The rest of the day was divided into parallel panels on themes ranging from medicine and material culture to institutional experiences of healthcare, and from classical to early modern medicine. Individual papers touched on issues such as medical case reports, cancer narratives, patient photography, and transgender healthcare. During lunch we had two poster presentations from Douglas Morgan and Farah Chowdhury, MSc Medical Humanities students at King’s College London. Throughout the day there were opportunities for networking and it was wonderful to see colleagues from different disciplines and institutions sharing their interests and establishing connections. The broad range of papers enabled participants to consider how representations and experiences of illness have changed over time and across different contexts and how patients’ expectations about their healthcare interventions have shifted. It was fascinating to see the different types of sources researchers drew upon in their work; medical textbooks, musical theatre, oral interviews, and archival documents such as court records were all scrutinised for the insights they offered into the medical encounter. Among the major themes arising from the symposium was how the doctor-patient relationship is rarely a 1:1 exchange; instead it takes place against a backdrop of other interactions. Patients also come into contact with nurses and other healthcare practitioners, while doctors interact with the patient’s friends and family. Attendees discussed how both doctors and patients bring personal experiences and attitudes to the specific medical encounter. After the symposium, we circulated a follow-up survey among attendees to evaluate the event. We received 18 responses, which represented around 25% of attendees. Respondents were asked to rate aspects of the symposium on a scale of 1-6 (from low-high); the event programme received an average score of 5.6. We asked attendees what they enjoyed most about the event, giving them the opportunity of a free-text response. Delegates cited various aspects including the ‘varied programme’, the ‘vibrant and enthusiastic atmosphere’, and the ‘range of disciplines and voices represented’. The multi-disciplinary nature of the event was seen as particularly profitable: when asked whether the event had changed their views, one participant suggested that it was useful to hear from clinicians as they offered insights different from the ‘theoretical’ approach of medical humanities. The paper by Riana Betzler (postdoctoral fellow at the Konrad Lorenz Institute for the Advanced Study of Natural Complex Systems in Austria) was praised by a number of attendees as having challenged their preconceptions about the role of empathy in doctor-patient interactions. It was a packed day (especially for a Friday!) and one of our key conclusions is that we would have loved to expand the symposium into a longer event. Several delegates suggested they would have enjoyed further opportunities for networking and exchange, while others wished they could have attended more sessions rather than choosing between parallel panels! The purpose of the symposium was to create a diverse network of scholars working in the medical humanities and we intend to build on the success of the event. Further details regarding the symposium’s legacy will be announced on the website in due course: https://doctorpatient2017.wordpress.com/. 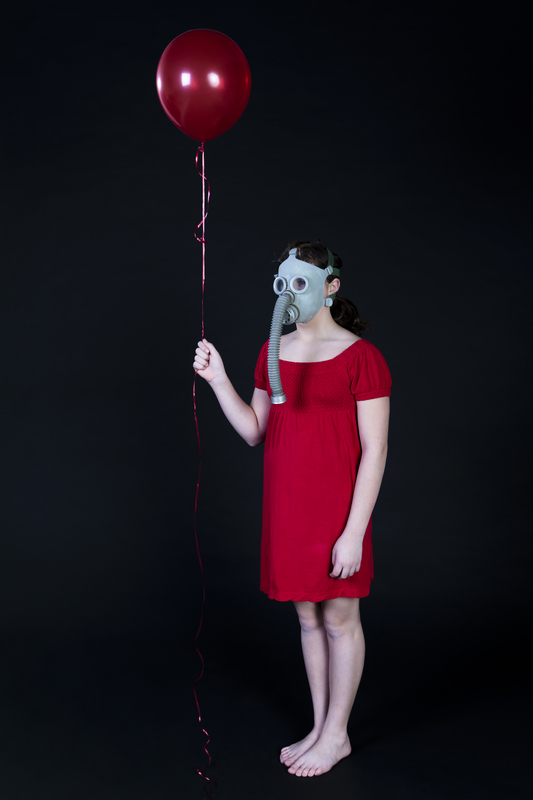 The Constructing Scientific Communities and Diseases of Modern Life projects are taking part in the Oxfordshire Science Festival with The Contagion Cabaret at the Museum of the History of Science, Broad Street, Oxford, OX1 3AZ. Killer germs, superbugs, pestilent plagues and global pandemics have fascinated writers, musicians and thinkers for centuries. As diseases spread through a population, likewise myths and ideas travel virally through film, literature, theatre and social media. Join a cast of actors, scientists and literary researchers for an inventive illustration of infectious extracts from plays and music, past and present. The event is free but booking is required via Eventbrite. Sally Shuttleworth is Professor of English Literature looking at the inter-relations between literature and science, including the project Diseases of Modern Life: Nineteenth-Century Perspectives. Kirsten Shepherd-Barr is Professor of English and Theatre Studies, interested in the relationship between modernism, science and theatrical performance. John Terry is Artistic Director of Chipping Norton Theatre known for ambitious and adventurous theatre work, usually script based but with a strong visual and physical tilt. Today we take it for granted that activity on the Sun causes colourful displays of the aurora (the ‘northern lights’ in the northern hemisphere; the ‘southern lights’ south of the equator) and, in extreme cases, power cuts and disruptions to satellite communications. We now know that the Sun triggers these phenomena through its magnetic field and the stream of subatomic particles it emits, called the ‘solar wind’ – which in turn affects Earth’s magnetic field. We call the state of the solar wind and magnetic activity in the solar system ‘space weather’. Aurorae do not just take place on Earth: they can occur on any planet that has both a magnetic field and an atmosphere. They have been photographed in the atmospheres of Jupiter, Saturn, Uranus and Neptune; more recently, spacecraft have imaged them in the skies of Mars. We strongly associate pictures of aurorae on other planets, as well as terms like ‘space weather’ and ‘solar wind’, very much with the space age. However, the possibility of detecting aurorae on other planets – and, by implication, the existence of the Sun’s influence throughout the solar system – was first suggested by two British astronomers working in the mid-nineteenth century: Balfour Stewart (1828-1887) and Edward Sabine (1788-1883). A correlation between aurorae and the Earth’s magnetic field had been known since the eighteenth century, when Anders Celsius (best known for the Celsius temperature scale) and Olof Hiorter noticed frequent and wild oscillations in the direction of magnetic north during an auroral display. In the 1830s, the astronomer and scientific polymath John Herschel (1792-1871) undertook a systematic study of sunspots while on a four-year observing expedition at the Cape of Good Hope in South Africa. In 1837, he noticed a peak in both sunspot and auroral activity and thought that it would be worth investigating whether a correlation between these two phenomena applied more generally. Six years later, German apothecary and astronomer Heinrich Schwabe discovered that the number of sunspots waxed and waned in a ten-year cycle. Then, in 1852, Sabine discovered a similar periodicity in the Earth’s magnetic field and noticed that it coincided exactly with Schwabe’s sunspot cycle. Herschel saw this discovery as confirmation of a link between sunspots and aurorae, and he now suggested that the ‘red clouds’ seen during a solar eclipse (now known as solar prominences) might be ‘reposing auroral masses’. In 1859, Balfour Stewart became superintendent of Kew Observatory. On 1 September that year, just two months after Stewart took up his post, the astronomers Richard Carrington and Richard Hodgson independently noticed a pair of bright lights appear above a large sunspot group, only to disappear a few minutes later. The timing of this explosion on the Sun, now known to have been a solar flare, coincided exactly with a jump in the traces produced by the magnetic instruments at Kew, and triggered Stewart’s interest in connections between solar activity and terrestrial magnetism. In the early 1860s, Stewart and Sabine engaged in a lively correspondence on the nature of the newly-discovered Sun-Earth connections. In an August 1862 letter to Sabine, Stewart revived (without acknowledgement) Herschel’s 1852 assertion that the red clouds seen during eclipses might be aurorae on the Sun. In his reply to Stewart, Sabine took the speculation further, suggesting that the solar ‘aurorae’ triggered aurorae on Earth and wondered whether ‘all the planets participate in such appearances, though we may never attain to their observation’. Stewart, in turn, suggested a variety of observational evidence in favour of the red solar clouds being aurorae, including the fact that, as with sunspots, their greatest frequency coincided with periods of magnetic disturbance on Earth. As to Sabine’s suggestion that aurorae might occur on all the planets, Stewart wondered whether ‘perhaps Mr De La Rue could photograph one [of the planets] during an Aurora and ascertain this’. Warren De La Rue (1815-1889) was then Britain’s leading pioneer of astronomical photography. He was instrumental in designing the Kew photoheliograph and was famous for his photographs of the Moon. Neither De La Rue’s nor anyone else’s photographic technology was then capable of photographing aurorae on other planets, but since 1979 spacecraft, including the Hubble Space Telescope, have photographed aurorae around the poles of Mars, Jupiter, Saturn, Uranus and Neptune (though scientists believe that Jupiter’s aurorae are due primarily to the interaction of the planet’s magnetic field with its volcanic satellite Io rather than the solar wind). Figure 1. Aurora around the southern pole of Saturn, photographed with the Hubble Space Telescope. Image courtesy J. T. Trauger (Jet Propulsion Laboratory) and NASA. Although Sabine and Stewart’s prediction had to wait more than a century to be vindicated, their logic was correct: something emanating from the Sun was influencing the entire solar system at the same time. We now know that this ‘solar wind’ is made up of charged subatomic particles that become tangled in planetary magnetic fields and cause their atmospheres to glow with auroral light. What, however, could these two visionaries have had in mind in 1862, when the smallest particle known to exist was the hydrogen atom? Stewart’s work makes it clear that he believed solar emissions travelled through an invisible, all-pervading medium called the ‘ether’. In the mid-nineteenth century, with the rise of the wave theory of light, such a medium had become a popular way of explaining how light travelled through space. In the forefront of this ether physics was Stewart’s contemporary and fellow Scot, James Clerk Maxwell (1831-1879), whose electromagnetic theory described mathematically how light is an electrical and magnetic wave that propagates through this hypothetical ether. The ether was needed in the wave theory of light, because as a wave, light needed something to propagate through, just as sound requires air in which to travel. Moreover Stewart, a staunch Christian believer, saw the ether as a convenient way of explaining the newly-discovered law of the conservation of energy without compromising the religious doctrine that the universe would one day come to an end. The ether provided a repository into which all the energy in the universe would eventually be dissipated, leaving the universe ultimately devoid of light and heat. Stewart believed that as the planets changed their positions relative to the Sun, they moved through this ether and drew energy out of the Sun, causing magnetic effects that gave rise to sunspots and, as a consequence, aurorae. According to Stewart, the ether meant that the Sun and planets were tightly bound to one another, so that the motion of one body would have an effect on the others. Over the 1860s and 1870s, he used the solar results at Kew to develop some increasingly elaborate theories that attempted to correlate the positions of planets in their orbits with variations in sunspot activity. At the same time, he built experiments to find evidence for the ether, by measuring the heating of a disc spinning rapidly in a vacuum, eliminating friction with the air as a source of heat. Both these approaches had inconclusive results. Stewart claimed to have detected heating in his spinning disc experiments, though modern scientists believe that this was due to the less-than-perfect vacuum attainable with the equipment of the mid-nineteenth century. After 1905, the ether theory gradually became discredited by Albert Einstein’s special theory of relativity. This painted a new picture of how light waves travel through space, dispensing with the notion of an ether. However, the story of Balfour Stewart’s researches into solar-terrestrial physics has one ironic twist. In 1870, Stewart left Kew to become professor of ‘natural philosophy’ (now called physics) at Owens College in Manchester (now the University of Manchester). One of his students at Manchester was a young Joseph John (‘J. J.’) Thomson, who in 1897 would discover the electron – the first of the subatomic particles now known to make up the solar wind. Dr Lee Macdonald is a historian of science in the nineteenth and twentieth centuries, specialising in the history of astronomy and the physical sciences. In addition to working part-time for the Constructing Scientific Communities project, Lee works as Research Facilitator at the Museum of the History of Science in Oxford. ConSciCom is very excited to introduce our new podcast series, The Conversationalist, an audio programme modeled on the Victorian tradition of ‘conversazione,’ public events that brought together science, arts, and the general public. At this podcast cocktail party, we invite experts on the history of science to tell us intriguing tales from the past that reveal how scientific knowledge has developed and changed and how ordinary people have contributed to scientific discovery. Just as natural knowledge had been part of the coffee-house culture in the eighteenth century, so, in the Victorian era, science operated in the public gaze. The conversazione, Italian for conversation, was one of the principal forums where the Victorian public came together to discuss and learn about the latest scientific discoveries and advancements. Held in public spaces such as town halls and scientific institutes, they were a panoply of nineteenth-century urban middle-class life, displaying the civic pride of bustling provincial town and cities or the regal refinement of metropolitan institutions like the Royal Society. In this wonderful wood engraving by the Victorian illustrator Richard Doyle, entitled ‘Conversazione: Science and Art,’ we witness ‘literary lions, artistic celebrities, famous lecturers upon science, distinguished inventors in mechanics, discoverers of planets’ who all ‘talk to one another, exchange ideas, or criticise some new invention, or drink tea’ (no cocktails here!). In a grand room ‘fitted up with all kinds of curious, interesting, and instructive objects,’ a ‘traveller is expounding, with the aid of a plan of the bones, and a full-length portrait of the creature in a complete state, the manners, customs, and personal appearance of the very latest discovery in natural history,’ while portraits of ‘the last thing out in the way of pre-Adamite monsters are also to be seen, being a portion of one toe, in a fossil state, of a new species of megatherium—very rare.’ There are also ‘microscopes through which you may gaze at the wondrous beauties to be seen in the foot of a frog,’ and there is ‘an electric battery in one corner of the room, at which ladies and gentlemen may be shocked as much as they like’ (Richard Doyle ‘Conversazione: Science and Art’, Cornhill Magazine 6 (1862), 269–70). Such events were at times eclectic and mesmerising and at times bizarre and boring. In our (eclectic and mesmerising!) first episode of The Conversationalist, we discuss conversazione with Professor Sally Shuttleworth and Professor Gowan Dawson. We ask what conversazione reveal about Victorian culture and science and also what we can learn from them today. And at the end of each episode, we check in with our podcast bartenders for a recipe or a story about the food and drink that so often sustained the vibrant conversations that characterised Victorian conversazione.